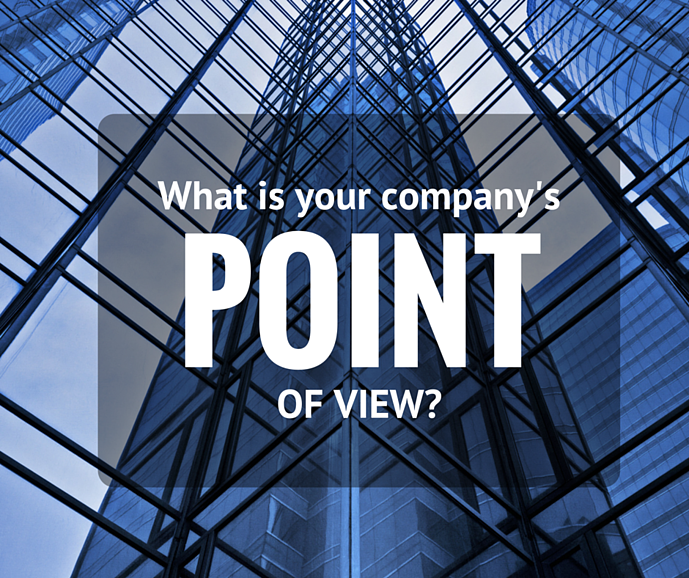 Do you have point of view? Share it! Most industry leaders (no matter the market sector) have strong points of view about how they see their respective markets moving forward. Some even go so far as to make predictions or base their strategies around their beliefs. That is a good idea! If you had a choice, wouldn't you want to go with a supplier that thinks long term too? UP has evaluated the brand positioning for hundreds of Swedish IT companies and had a look at their expressed messages, customer values and more. One thing is for sure – they all are good at listing all the things they can do and all nice projects they have done. But very few have an opinion about the future, or if they do, they aren't making it known. And why not? How can you expect someone to trust your vision if you don't have one? What I mean by this is your vision for how you believe your market will develop in the coming 5-10 years, and the impact or opportunities it brings your customers. Will we live in an all open-source world? Will all IT infrastructure be bought as a service or be in the cloud? Will automation change the way we do development or maintenance? Or do you see other possibilities? If you look at the giants in IT or ICT, they are very good at describing their vision of the world and what role they will play in that future. Their vision is reflected in their portfolio. They are also good at using that vision in marketing and communications. It drives and defines not only who they are, but also who they choose as partners and clients. You could argue that companies like yours don’t have the same muscles as the giants, and that is true. But you don’t need an army of marketers to have an opinion and to communicate it. I’m sure you have a lot of smart people in your company – use them! Develop your vision of the future (does not have to as grand as the giants) and discuss your company, products and services in that context. Decide what your key strengths are and how you can differentiate them, then develop your messages. Identify people in your company with expertise in important areas and encourage them to develop their views and opinions as thought-leaders. Publish blog posts and speak at industry events. Cultivate their reputation as media and industry resources. Take a stand and explain what it means for your customers. Don't be afraid to take a stance on important industry issues. Fence-sitters never go any where interesting. Be consistent in all media and channels. Your message should sound like the same company, no matter who in the organization delivers it or what media they're using. Share! Share your knowledge, your expertise, and your ideas with your industry. Attend conferences, blog, post articles in online journals, offer white papers for download. Building your message means telling people what it is often and with consistency. Find out how your brand compares to others in your industry.